Hello everyone any news about OTP? I just finished watching MITH ep 35 and that "Born To Love You" thing was killing me how can he think such words like that? Can someone explain to me the significance of centrum? Because as far as I know, centrum is just another vitamin brand. She finally updated! LOLing at her caption! Well coolest partner is updating now her IG with a lots of picture, and she looks very much happy and glowing from the outside. Its because LSG is always thinking about OYS, that's why he comes up with the sentence "born to love you" instead of words maybe he remember OYS while eating hotdog at "PINK"
I read the 185 page. I will speed up reading. I want to talk about husband-wife looks.I don't know if you have talked about this. The meaning of husband and wife is: two people live together for a long time, the expression and action imitate each other, will become more and more like. I didn't believe it when an experienced shipper told me this.When I saw her CP photos she shared, I never doubted again. Her CP is getting more and more like. When I saw this picture, I had no doubt about 503cp. Since then, they can be found to be more and more alike. They have the same style of dressing (white T-shirts and jeans), similar body language, similar movement habits. As long as the similarity is still there, our ship will continue to sail. These are the translation softwares, I hope you can understand them. Yes, we understand you perfectly. Continue to post more comments. Love the fact that everyone is finally de-lurking and coming out to join in on the fun. There is no doubt our OTP is getting lots of love from the fans. OYS is so pretty in her recent update! anyone know if oys was into cartier brand before or just recently? 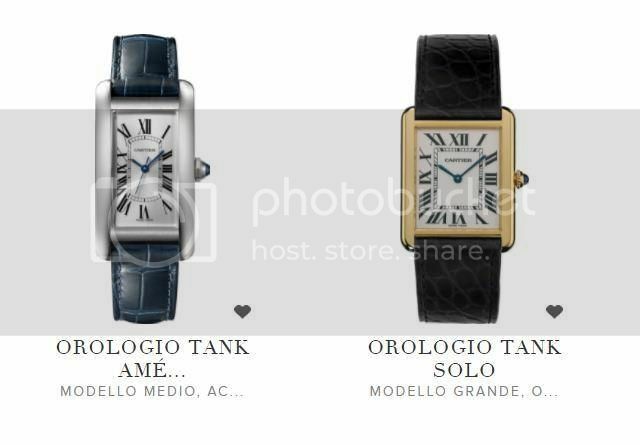 Ooo Cartier Tank for man and woman. Coincidence?? it would be greatly appreciated if you don’t post this watch pic on your social media. naah oys is never into branded stuffs. She been using Mickey Mouse watch or minigold (she is the endorser for that brand) all this time. Ahjumma knows about this husband-wife face thing. We used to use this phrase when describing a match made couple. Although youngsters these days tend not to do that anymore. it’s pretty common for two people in love to be affected by each other habits, gestures, and style. As for 503, I can see that it is really obvious. @haymochi that watch is really wow!! Instead of showing her shiny shiny she show us her watch... right after that ugly duckling show.. perfect timing huh! Of course u didn't mean anything. We aaall know that!!! Well well well, the watches are cartier, the bracelets are cartier. By any chance, is the shiny shiny thing a cartier also? Just resent, she does not use brand items but this year it has been different. If that helps you know a little more. Then isn’t it pretty obvious? Even with a man woman watch from the brand that he loves. "Lee Seung Gi later went on to share that Kang Ho Dong and Cha Seung Won had actively encouraged him to get married and start a family." "Actively". Why is it there again? Since they've not only encouraged him but done it actively must mean they've done so way more than once. So how did they encourage him? I saw the main leads of this drama looked very amazingly in sync. I foresee a wedding (purposefully leaving out whether he means for their characters or for them). LSG & OYS freeze out CSW during the photoshoot. Just get married then. All this flirting and being in your own world RIGHT IN FRONT OF ME(!!) I'm dying!! LSG & OYS Freeze out CSW during the Hwayugi Viki interview. CSW to LSG after interview: I expect a wedding invitation tomorrow first thing in the morning. LSG & OYS Start dating. LSG is so happy about it he immideately tells Cha Seung Won about it. CSW sends him a text: "HEY! You were supposed to send me that wedding invitation already!! Where is iiiiiiit!??!" CSW: My inbox is still missing some happy piece of news. And photos of your baby monkeys too. Tired of nagging alone, CSW calls up KHD to help nag along with him. OMSGHSKSJSJSJSJKSJ CAN. NOT. WAIT. ANY.LONGER. WEDDING. NOOOOOOOOOWWW!!! Even the constant wedding obsession these days by uri Charming Friend isn't enough to satisfy the impatient bull. Spotted. Major 503 fanboy alert! Mawang-nim you also one of the lurkers of this forum, right? ***Ps. This is a joke. Don't take the scenarious here as facts. Just Fun. However maybe it's based a bit on reality too.